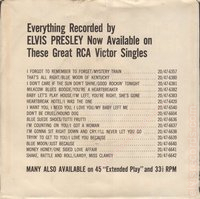 Cover: picture sleeve front and back. 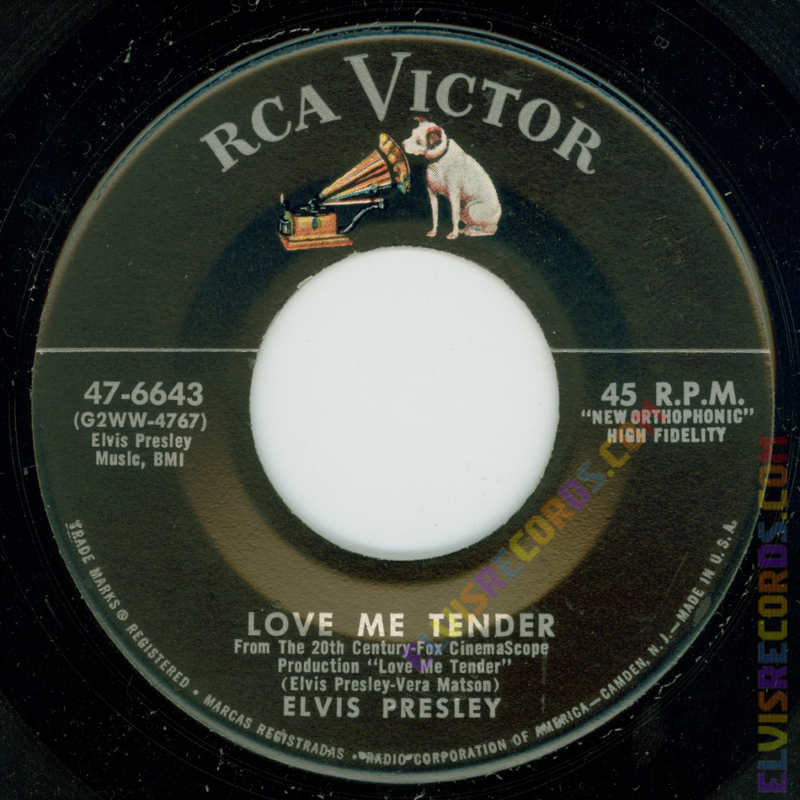 From left to right, dark pink, light pink, green, or white. 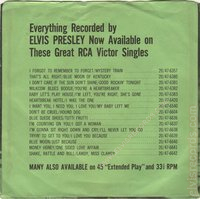 Disc: (9/1956) Black label, dog on top without horizontal line. 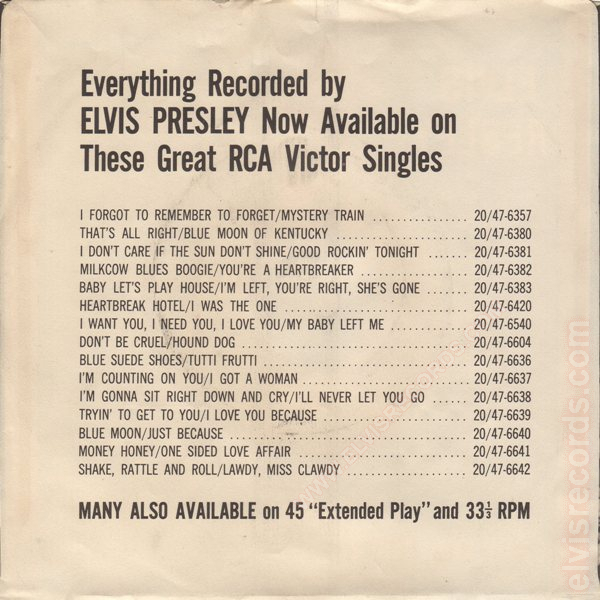 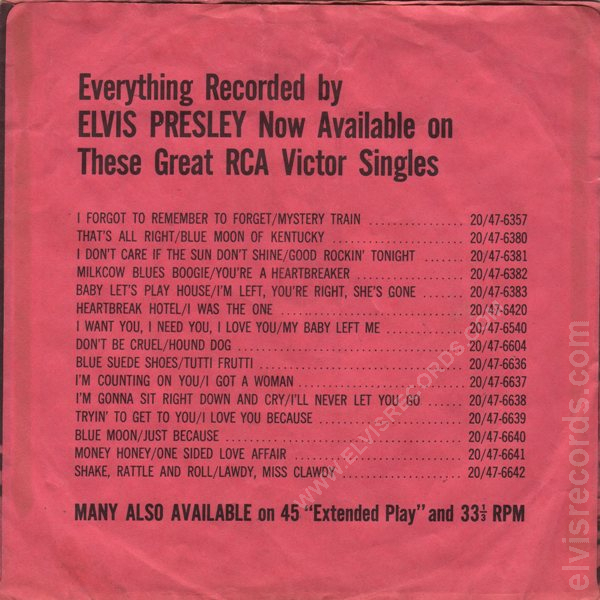 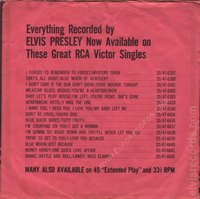 Side 1, No mention of From The 20th Century Fox CinemaScope Production "Love Me Tender"
Disc: (9/1956)5 Black label, dog on top without horizontal line. 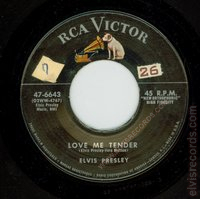 45 R.P.M. 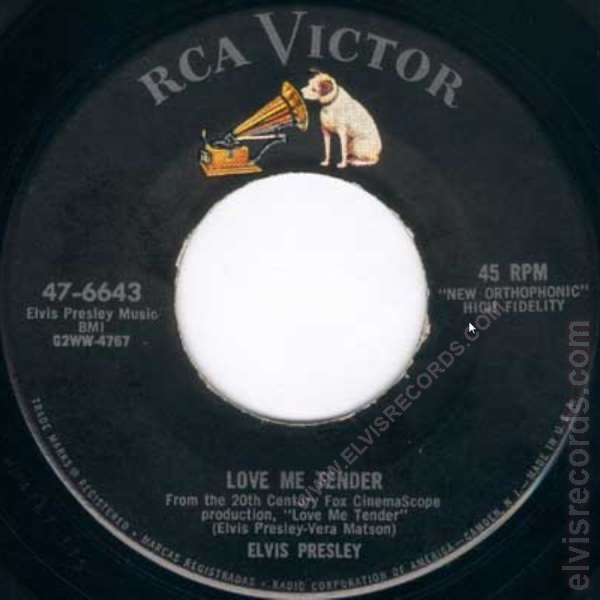 on sides. 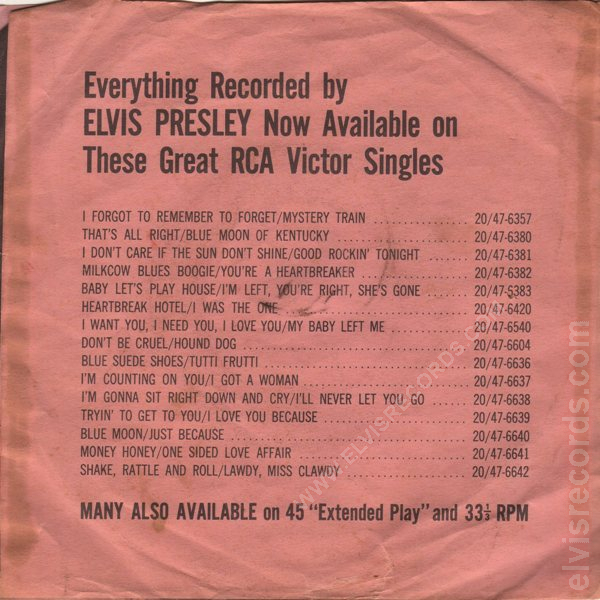 Side 1, Love Me Tender on three lines. 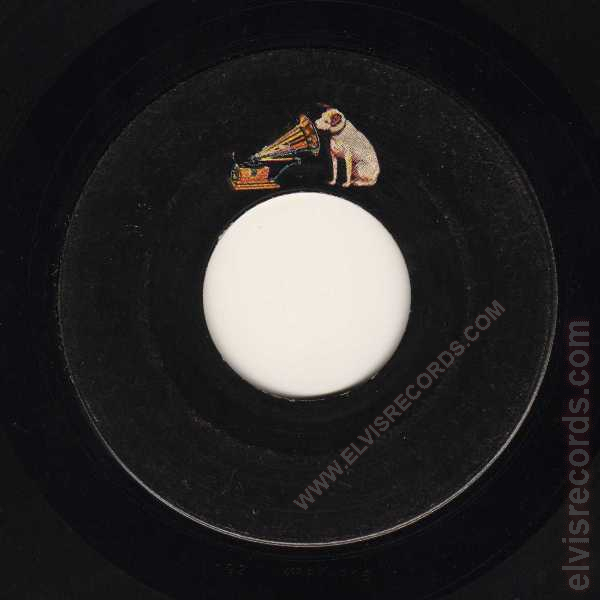 Disc: (9/1956) Black label, dog on top with horizontal line. 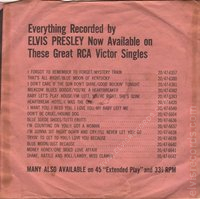 Error pressing. 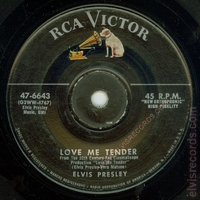 Label on Side 2 without silver ink. 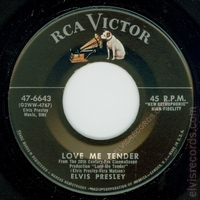 Disc: (9/1956) Black label, dog on top with horizontal line. 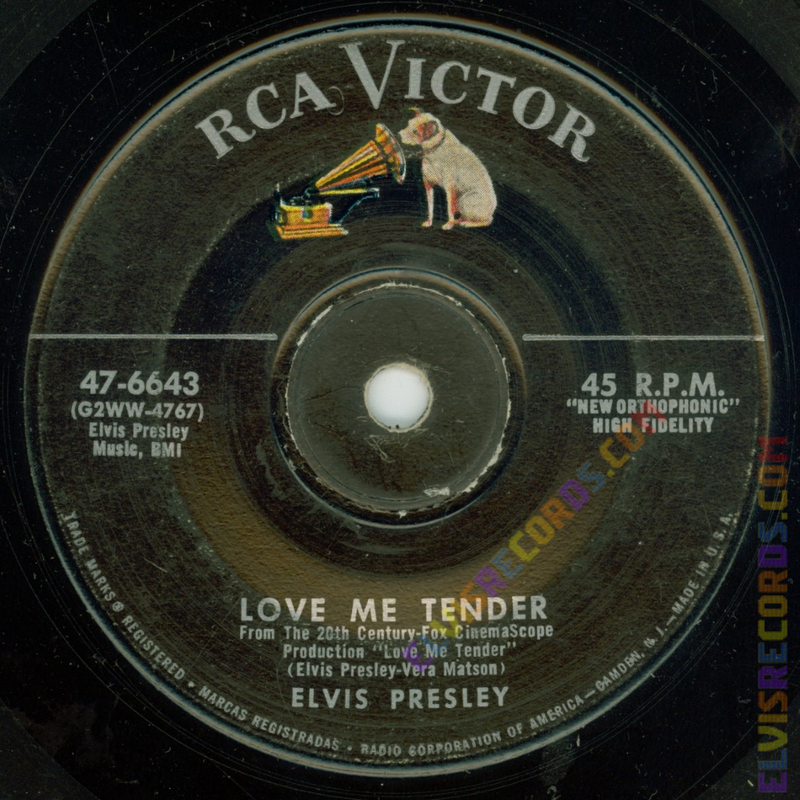 Side 1, No mention of From The 20th Century Fox CinemaScope Production "Love Me Tender"
Disc: (9/1956) Black label, dog on top with horizontal line. 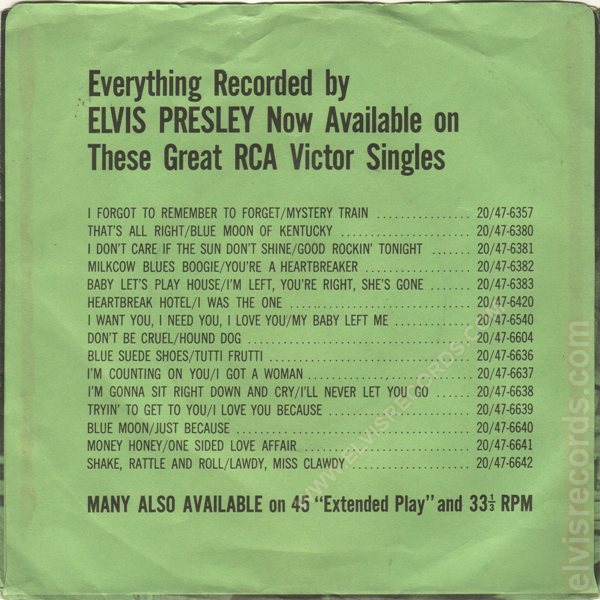 Solid core mistake. 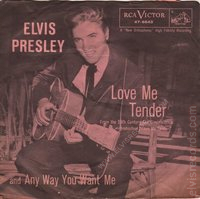 Released in 1956 by RCA Records on 78 RPM as Love Me Tender / Anyway You Want Me. 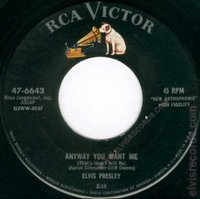 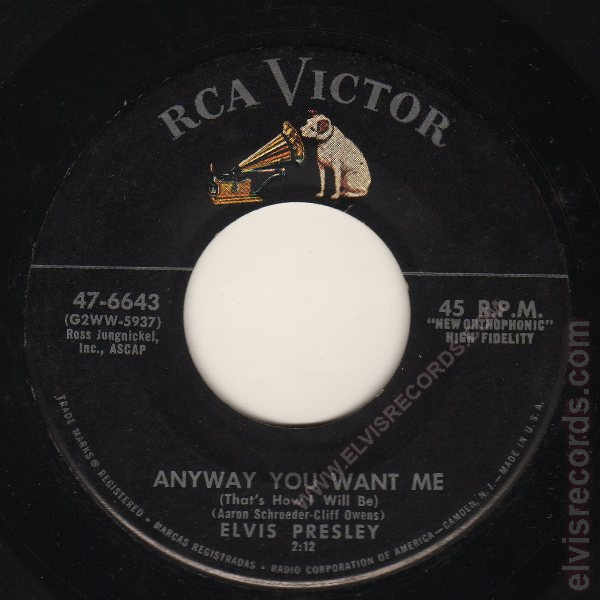 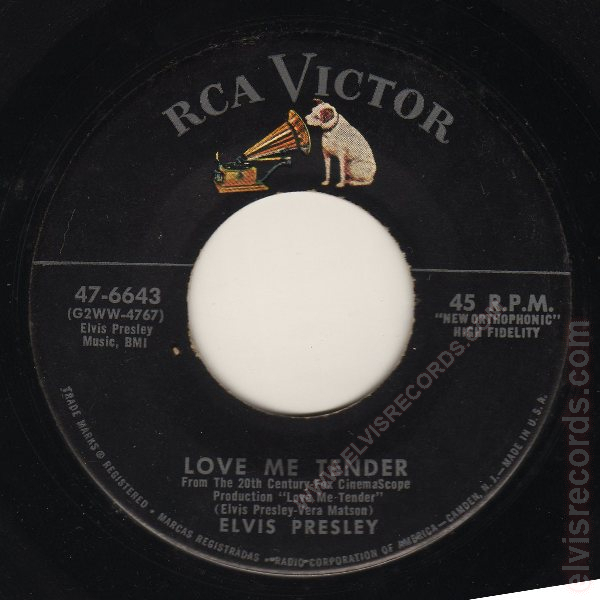 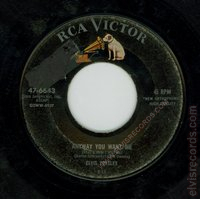 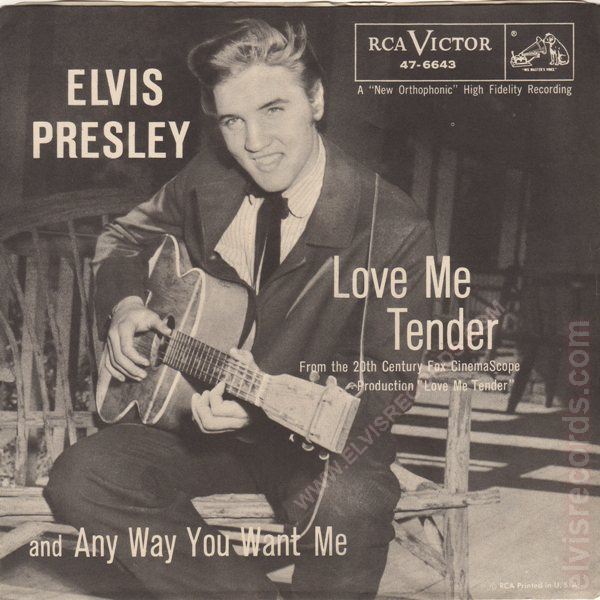 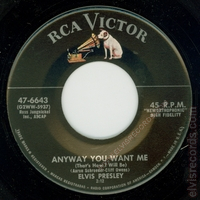 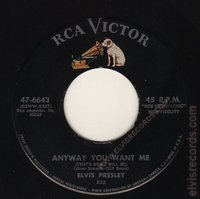 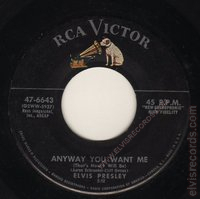 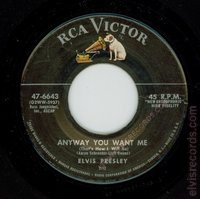 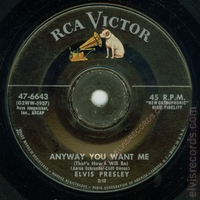 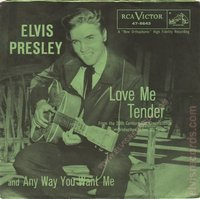 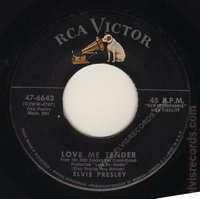 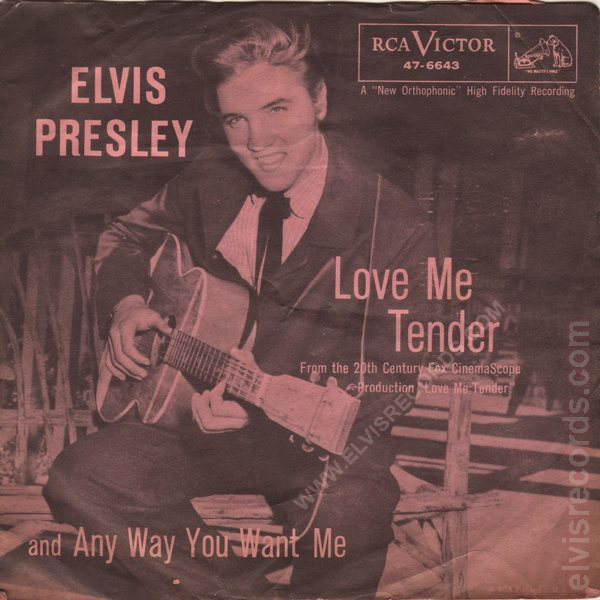 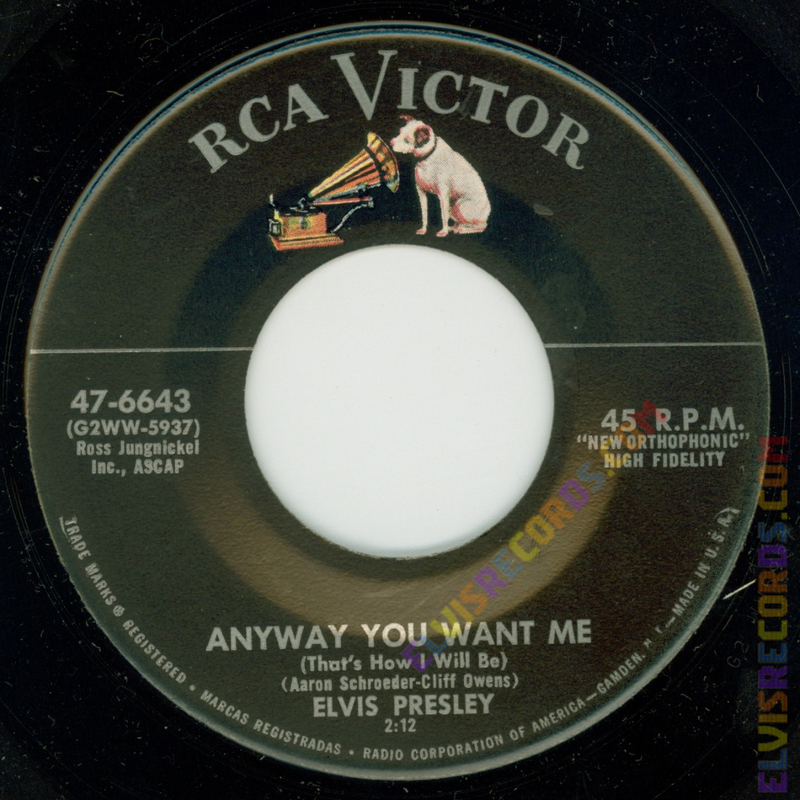 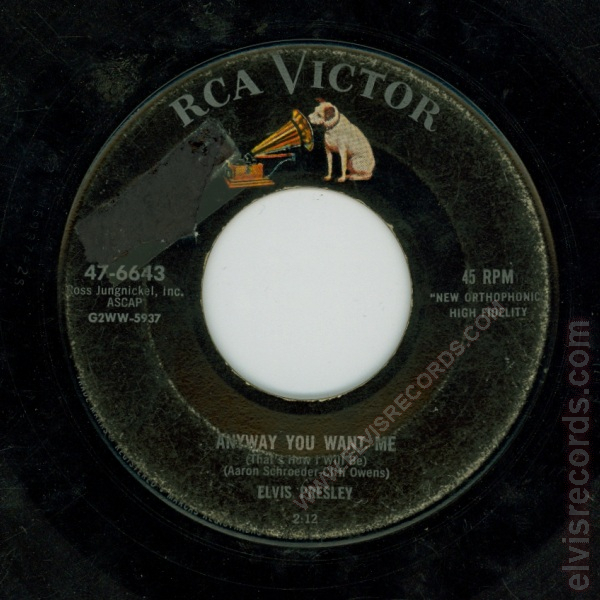 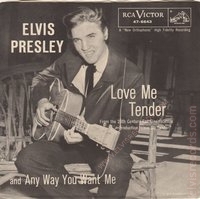 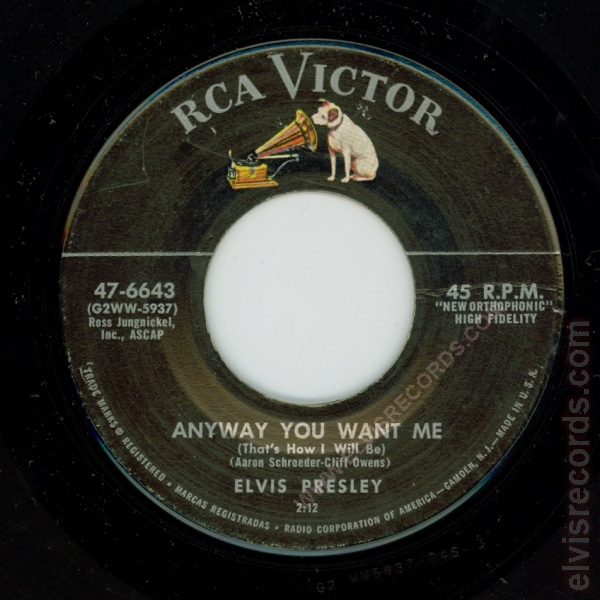 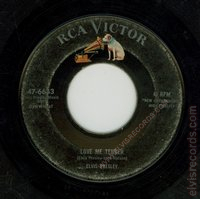 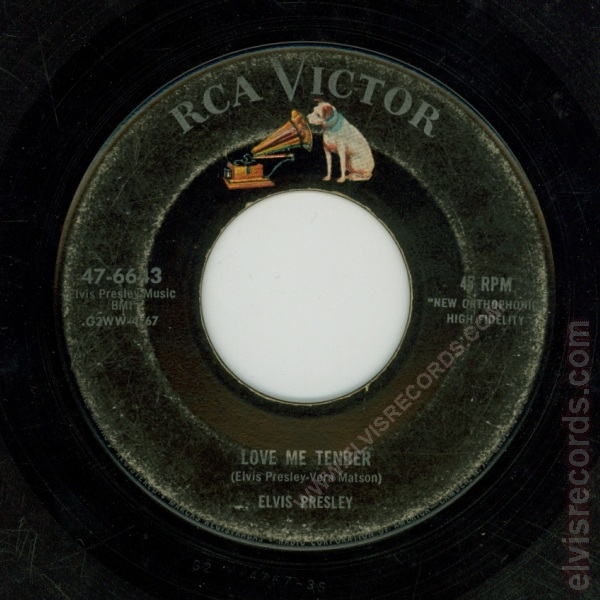 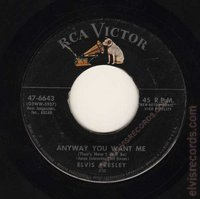 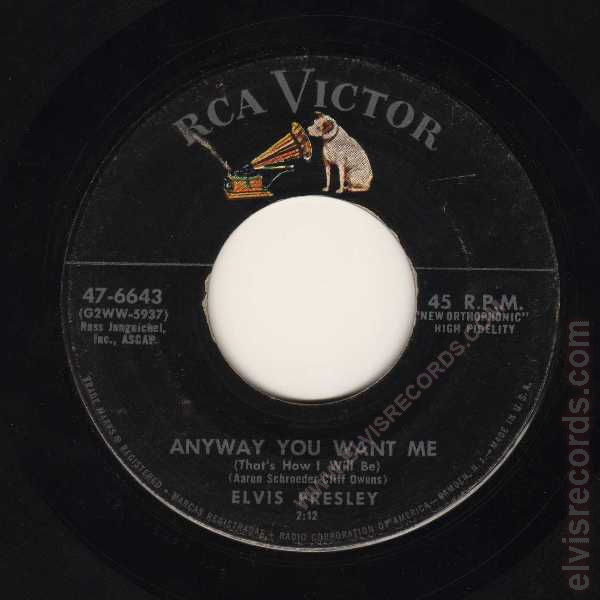 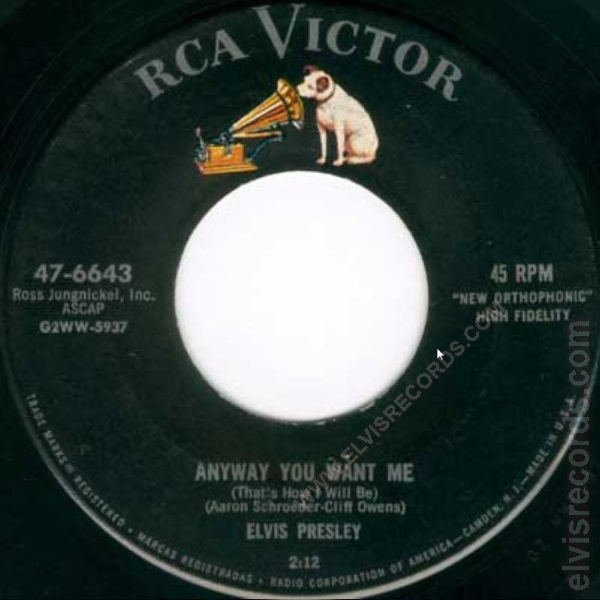 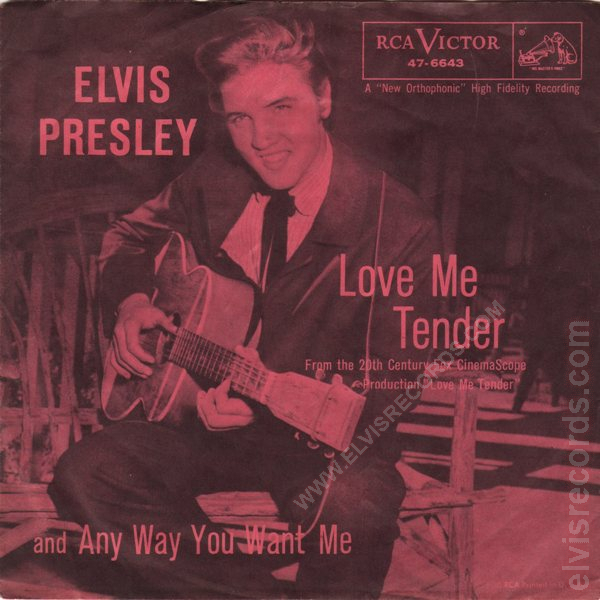 Re-released by RCA Records on 45 RPM as Love Me Tender / Anyway You Want Me on the Gold Standard Series label.